Talk Origins: The best resource for evolution information and creationist refutations on the internet. Be sure to check out their FAQ, section on human evolution, observed speciation and near exhaustive index of refutations to creationist arguments. UCBerkeley: Understanding Evolution – All encompassing site with huge resources.Evolution 101 and their resource library are particularly exceptional, including Transitional forms. More from Berkeley on Biogeographical Distribution. Quality of the fossil record: Data bases and software for studying the quality of the fossil record. Good overview with response to critiques by religious fundamentalists. The stratigraphic column: explanation and graphic illustration. Learn the names of the divisions of geologic time. A basic outline of geological time and links. NCSE: Creationism vs Evolution and Evolution of Creationism – Examining the tactics and history of the creationist movement. 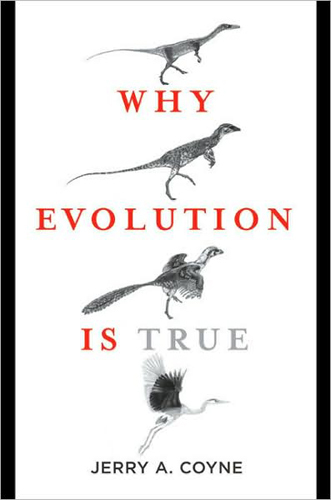 “Why Evolution is True” by Jerry A. Coyne, AAI 2009 – Jerry Coyne explains ‘Why Evolution is True’ (also the title of his excellent new book) at the Atheist Alliance International 2009 conference, sponsored by The Richard Dawkins Foundation for Reason and Science. Evolution: How We Know it Happened & Why it Matters (with Dr. Donald Prothero) – The hottest cultural controversy of 2005 was the Intelligent Design challenge to the theory of evolution, being played out in classrooms and courtrooms across America. The crux of the argument made by proponents of Intelligent Design is that the theory of evolution is in serious trouble. They claim that the evidence for evolution is weak, the gaps in the theory are huge, and that these flaws should be taught to students. 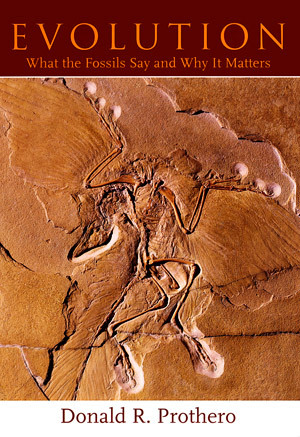 In this brilliant synthesis of scientific data and theory, Occidental College geologist, paleontologist, and evolutionary theorist Dr. Donald Prothero will present the best evidence we have that evolution happened, why Darwin’s theory still matters, and what the real controversies are in evolutionary biology. Was Darwin Wrong? – Is Darwin’s theory of evolution right or wrong? NGC puts Darwin’s theory to the test by investigating his claims one by one. Evolution Documentary – BBC, PBS, NOVA, Channel 4, Discovery Channel, National Geographic and more!! !